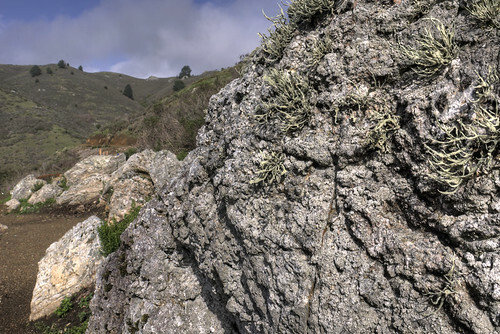 Ditch the summer fog in San Francisco for the sunny peaks of our Golden Gate National Parks in Marin County. 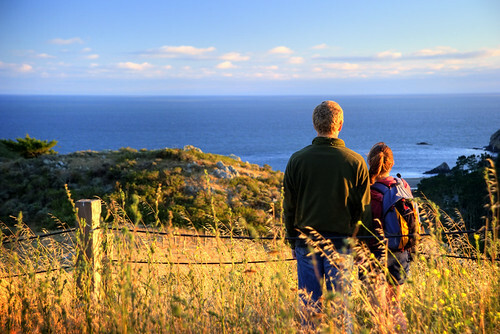 Have some fun in the sun on this moderate eight mile hike and finish it off with a frothy pint at the local English inn! 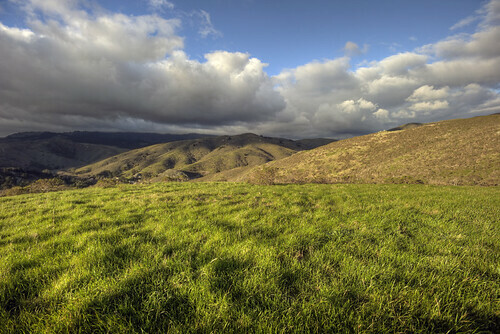 Along the way, you'll see newly restored habitat, improved trails, spectacular views, and maybe even some wildlife. 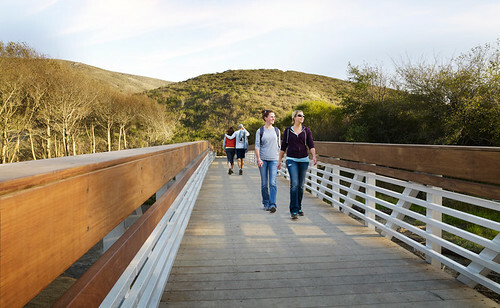 Get movin’ by making your way across the bridge and onto the Coastal Trail at Muir Beach. As you traverse the restored marshy wetlands, look for shorebirds like killdeer, sandpipers, and the marbled godwit. 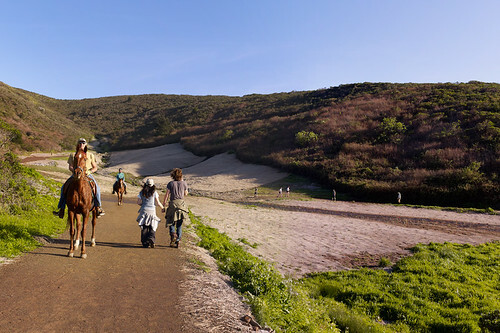 Continue towards Green Gulch Farm—this park neighbor serves up organic produce and Buddhist Zen retreats! 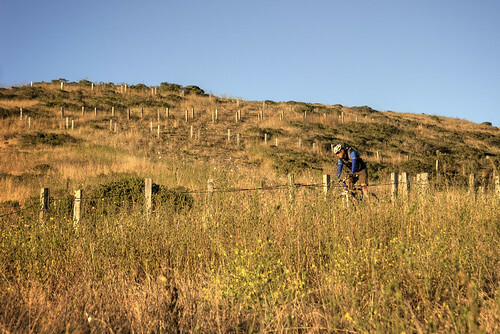 As you make your way through the farm, continue on the Green Gulch Trail and use the relaxing aura of the Center to prepare yourself for the climb to the top of Coyote Ridge. 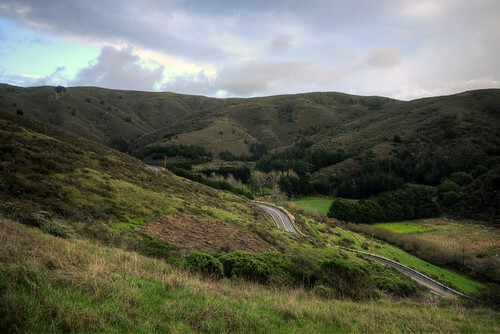 This ascent to the ridge will reward you with spectacular views and firm glutes!Listen for the chi-ca-go call of the California quail; chicks should be in abundance this time of year! 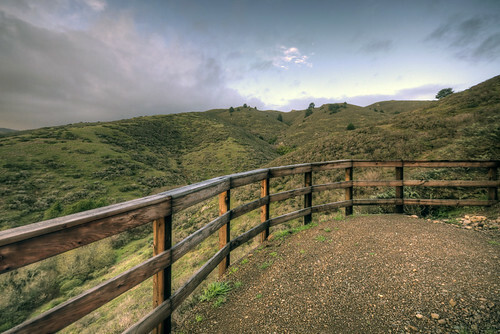 The Dias Ridge Trail takes you through a myriad of habitats, from oak woodland to coast scrub and chaparral to grassland. 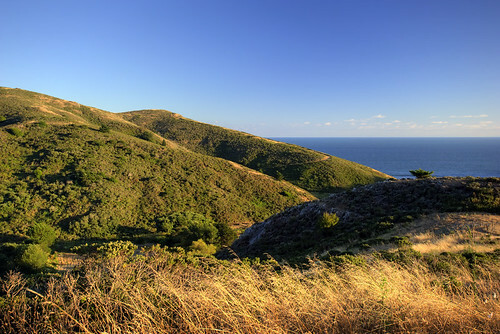 The plant diversity not only serves as home to a number of wildlife species, but also provides nectaring sources for the return migration of the monarch butterfly. August marks the beginning of their migration south to warmer climates. 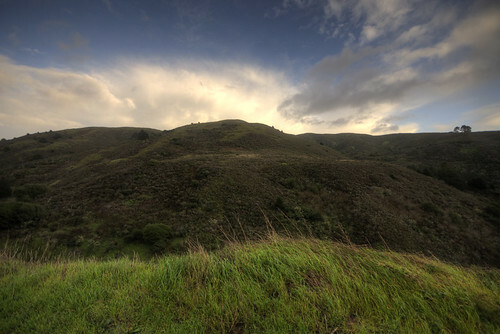 From the Miwok Trail, veer onto the Dias Ridge Trail. 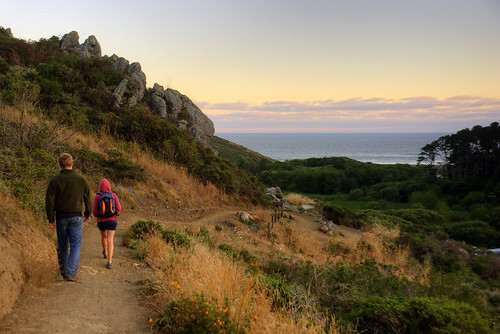 Part of the larger Bay Area Ridge Trail system, this trail runs through both Mount Tamalpais State Park and the Golden Gate National Parks. 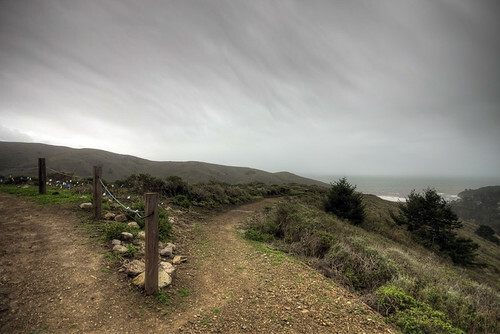 This trail earned its name from Silvio Dias, a Portuguese dairy farmer who once owned the land. This explains why the name ends in an “s” and not a “z,” which is typical of those of Spanish origin. 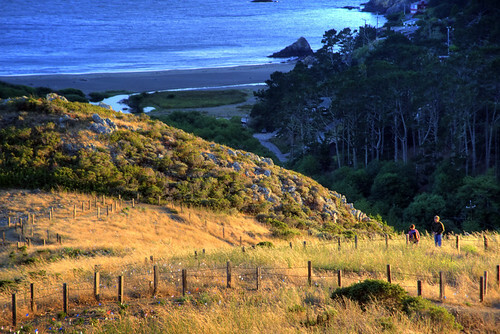 After reaching Golden Gate Dairy, cross the street and enjoy a pint and some English fare at the Pelican Inn before returning home—you’ve earned it! You may download a tour and play it on your computer by clicking here. Note: to play the tour this way you must first have Google Earth (free) installed. 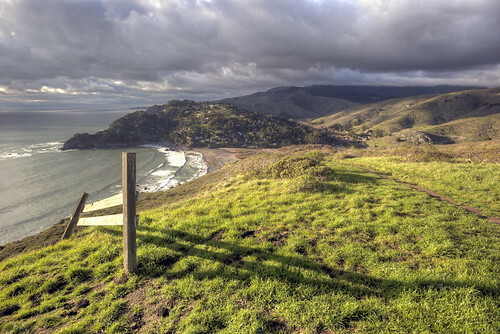 For more information on Muir Beach, Dias Ridge, and other the rest of the Golden Gate National Parks, visit www.parksconservancy.org.